Marijuana for medical uses was legalized in 2014. Marijuana for recreational use is illegal. In 1976 the possession of 42.5 grams or less was decriminalized to a petty misdemeanor. There are twelve federally-recognized tribes in Minnesota. The DOJ marijuana policy on tribal reservations applies to these Minnesota tribes. Each is federally recognized as sovereign by the Bureau of Indian Affairs in the U.S. Interior Department. For a complete list of Minnesota tribes and their locations, see our page about Minnesota Tribes. Minnesota tribes recognize the challenges and business opportunities of the cannabis industry, and some are waiting for more information and legal clarity from the federal government. White Earth Reservation is growing hemp in northwestern Minnesota. The tribe has invested $100,000 to grow five varieties of hemp. 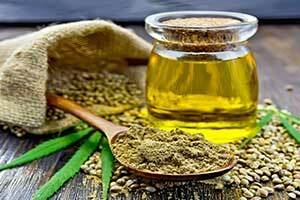 As the crop size increases the tribe plans to purchase an industrial press to produce hemp oil. The Tribal Council or the Red Lake Nation voted this week to conduct a feasibility study on the cannabis industry. The Red Lake reservation is very large with more than 1,200 square miles. U.S. Department of Justice announced last year that tribes are free to grow and sell marijuana on their reservations. "They are their own jurisdiction and they can control what they do on their own land," said Assistant Health Commissioner Manny Munson-Regala of the Minnesota Medical Cannabis Program.